Last month, I happened to go outstation on my car fitted with ordinary wheels and rims. The tires were not in their best spirits and I had to face a lot of troubles on the way. I learnt a lot from managing them time and again and followings are my findings in this connection. Just as you know, the custom metallic wheel plating which is purchased as an afterthought rather than using factory-made wheels to enhance the appearance and operation of the tire is called a rim. Scan the rides on the road and you will notice that the customized wheels and off road rims have become a popular choice among a number of car owners. If you are into customizing your ride, chrome wheels are also a distinctive feature. They allow you to add a touch of your own taste in your vehicle’s operation and appearance. A chrome rim is a common accessory being seen on a number of cars driven today. Chrome rims are a timeless trend. Irrespective of the driver’s age, the chrome rims are also seen being appreciated by the majority of the car owners. The youngsters put them on sport-utility vehicles and motorcycles, but the riders of every age like them for their look. How you can distinguish between the wheel and the rims. If you are an auto junkie, it’s your responsibility to know the difference between the rims and wheels. But, there are those who are unable to differentiate between the two. Therefore technically speaking, the wheels and rims refer to the same thing. Both the things are mounted on the same part of the car. ‘Rim’ is basically a slang term used to label fashionable wheels on the car, where the tire is placed. Heavy machines need heavy input. When it comes to vehicle’s appearance, the types of wheels and tires deployed in the car make a huge difference. Truck wheels and tires are also seen laced with the rugged hard metal casing and sleeves. On the contrary, luxury car owners prefer clean, shiny look for their wheels, thus turning to chrome wheels and rims. Made of aluminium or steel, customized wheels are covered with natural chromium through the process of electroplating. The chrome plating on the wheels definitely makes them stronger and gives them a highly mirrored and sought-after look. This sought-after look is quite difficult to replicate. Chrome wheels and tires are available in a great variety of shapes, sizes, and designs. The spoke pattern and designs are endless and can even be custom-created according to your requirements and specifications. Apart from these patterns, chrome wheels are also available in three basic looks that include polished, matte and black chrome wheels. Though these three options offer the same features, the only difference lies in the type of look these wheels display. 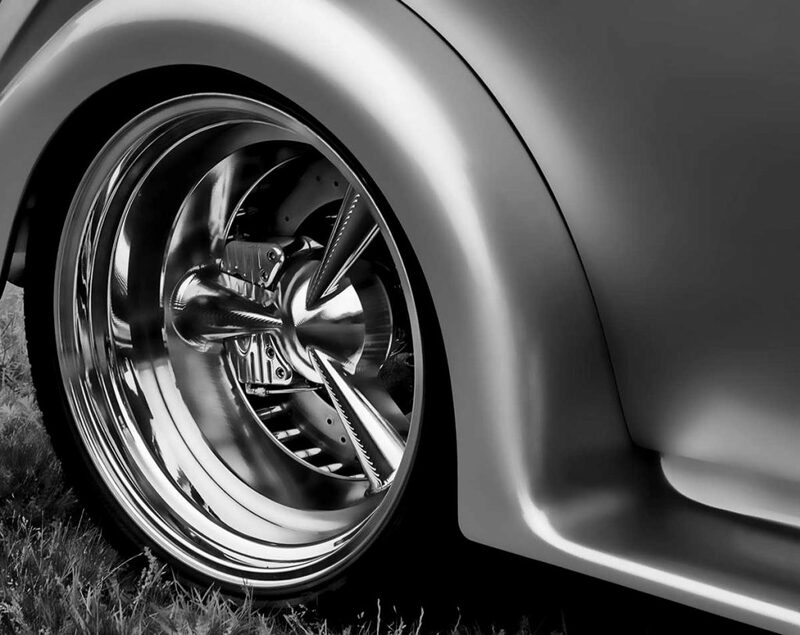 The benefits of chrome plating on wheels are that they are highly resistant to corrosion and rust and are able to withstand extreme weather temperatures as well as conditions. Another benefit is that they are much harder and durable compared with wheels and rims made of steel or aluminum. Finally, chrome offers an extensive mirrored and shiny image that is highly competitive and cannot match with any other material. Undoubtedly, a glittering set chrome wheels look elegant, but, unfortunately, it has a disadvantage. 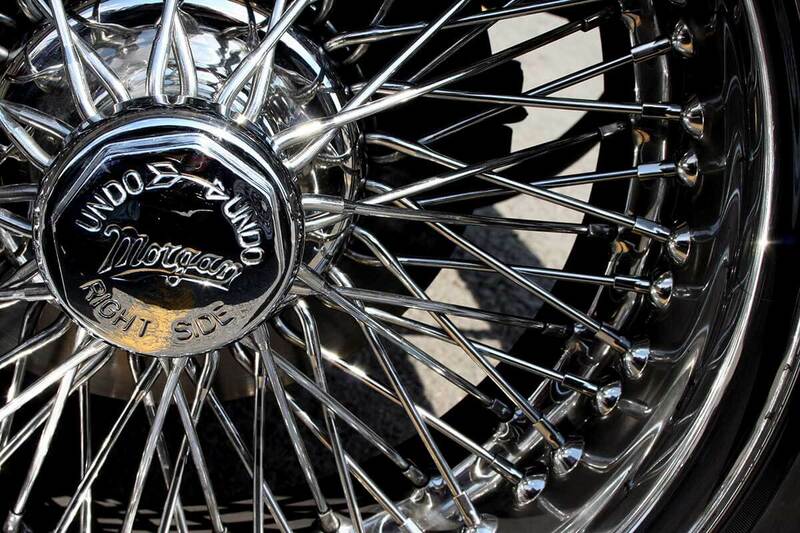 A chrome wheel, polished and acid-etched, is too complicated to repair. They need plating rather than painting in a complicated manner. 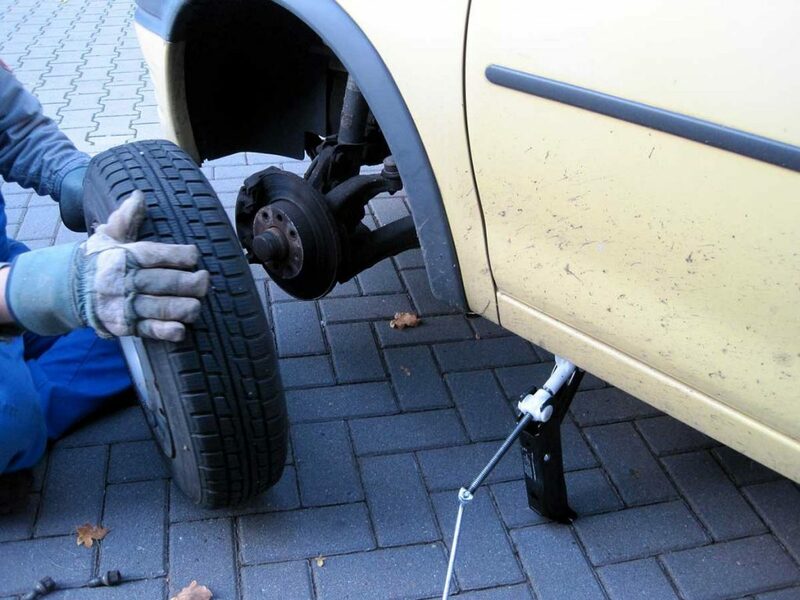 Normally, their repair is very expensive as well as complicated. Mostly, replacing a damaged rim is cheaper than refinishing and re-plating it. Here are some simple and beneficial ways that can help you do the simple repair for minor damage. The benefit of Chrome Repair Kit can help you do some simple repair for some minor damage. The kit is actually not for a repair in a true sense. It also helps you apply paint on a minor damaged part. Relatively, the Kits are also inexpensive and affordable, and a little bit of chrome paint really can work in case of minor cracking and flaking. All the scratches and holes need filling with the hard epoxy resin that helps to strengthen paint. For the smooth surface of the flaked off rim paint, hardened epoxy need to be buffed indispensably. Fine-quality sandpaper or steel wool to finely sand the epoxy is required to make it gritty to glue to the spray paint. The entire of the untouched rim part needs to be sprayed with chrome paint. Finally, your chrome rim requires buffing with a buffer or a soft buffing a piece of cloth. You can also apply this process to all levels of minor damages. However, the process of specially buffing and smoothing epoxy resin is not a piece of cake but demands some expertise. It will surely help to save your money. Your rim will get a new look. You needn’t buy a new car, on top of that your car will get a new look. Alloy wheels change their look with plated chrome rims. Sandblasting the entire rim actually means removing all the chrome and exposing the alloy wheel underneath. Your alloy wheels then need powder coating. You need a professional painter to still keep the chrome look by removing the entire chrome plating. The re-chroming procedure is comprised of buffing the rim and then re-plating with copper, zinc, and chrome. No doubt, the replacement of the damaged chrome rim is the best option as compared to expensive repairing. There is another good option for you like applying Rim Blades to your chrome wheels. Rim Blades is the best solution to help you cover up most types of curb rashes, and ultimately, on top of that give your vehicle an elegant look. Last but not least, Rim B lades additionally can save you from further minor damages like cracking, scratches and flaking off paint, etc. These are some of the main reasons that make chrome wheels and rims highly reflective and bright and prized by car lovers.